Duty, Honour, Sparkle. The Chana is a twinkling reformation of the military I.D. 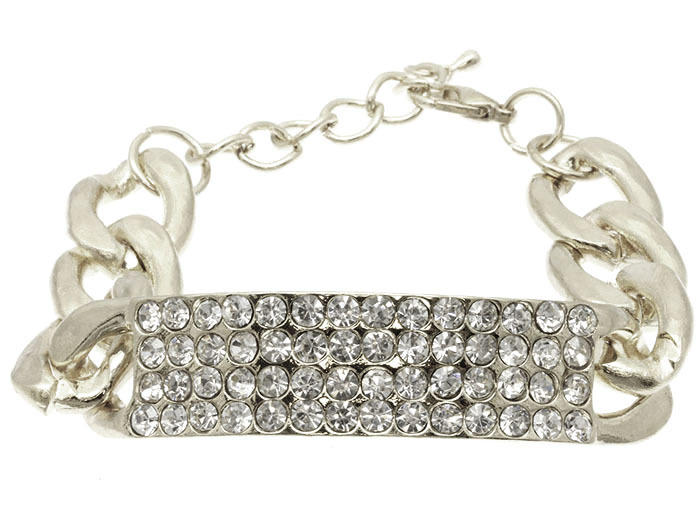 bracelet, showcasing a feature plate encrusted in rhinestones on a twisted cable link. In cast-silver with clasp fastening and extension chain. Add an edge to any look. Accessorize multiple outfits when you shop for jewellery online with us here at Oz Bling.